I do not often review what I would label secular movies. The main reason for this is that I am often disappointed by what they actually think is acceptable for viewing. So, when I received the opportunity to review Alex and Me, I was slightly hesitant. Alex and Me released on DVD/Blu-ray June 19th. It is rated G, and I still wondered if I would have issues. So, you may just be wondering what I thought about Alex and Me. I was impressed. Yes, there is music in it, that I personally would not listen too, and one scene where a coach has a soccer ball thrown at him and he gets hit below the waist, which I think was unnecessary. Overall though I was amazingly impressed with the movie. The storyline centers around 13 year old Reagan and her family. She has a dream of playing soccer and she sort of gets lost in the shuffle of family life for awhile. In the meantime, she ends up hitting her head and awakening to her soccer hero Alex Morgan, who has suddenly stepped off the poster in her room and offers to train her. Mind you Reagan is the only one who can see Alex, which leads to several funny scenes where she is seen talking to and interacting with someone no one else can see. Alex encourages Reagan to strive for her dream and set goals to reach that dream. Needless to say by the end of the movie several people have a change of heart and Reagan actually gets to meet the real Alex Morgan. Cast Includes: Alex Morgan as herself, Jerry Trainor (iCarly) also stars as Nigel, a less-than-reliable youth soccer coach, alongside Matt Cornett (Bella and the Bulldogs) as Reagan’s brother, Logan; Colin Critchley (Legends of the Hidden Temple) as Reagan’s soccer-playing pal, Ben; Chuiti Tiu (Nashville) as Reagan’s mother, Ann Wills; and Jim Klock (True Detective, Scream Queens) as Reagan’s father (and biggest fan), Joe Wills. Jessica Treska (HBO’s upcoming Sharp Objects) plays Reagan’s arch-rival, Claire. I am sure the whole family will enjoy watching Alex and Me. If you are looking for some wholesome family entertainment be sure to grab a copy of Alex and Me, one of your family's favorite snacks and sit down and enjoy yourselves. Alex & Me will be available on Blu-ray (SRP $24.98), DVD (SRP $19.98) and Digital (SRP $14.99).Take a moment and use the app below to create your own, or your child's own soccer emoji. Share your emoji in the comments below. You can also download the family goal chart and use it to encourage your children to start setting goals as Reagan did in Alex and Me. I received my copy of Alex and Me for review purposes. All thoughts and opinions are entirely my own. Are you tired of receiving shockingly high electricity bills? Here are just a few ways to spend less on electricity. The simplest way to lower your rates is to switch providers. As many people now combine their gas and electricity, this could also mean finding a new company with good gas bill rates as well. Shop around for new customer deals – always read the small print so that there are no hidden snags. It’s possible to take advantage of new customer rates every couple years by constantly switching. 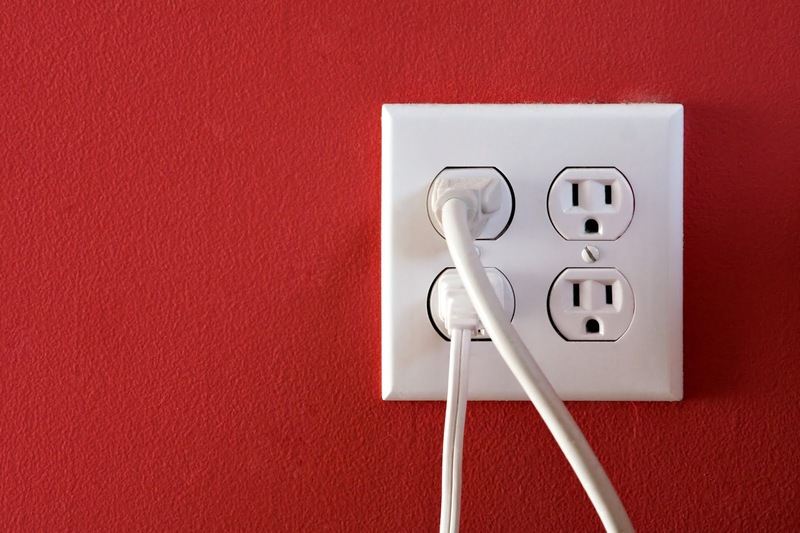 Many appliances still use electricity when left plugged in, even if they’ve been turned off. This could include TVs left in standby mode and even empty extension cables. 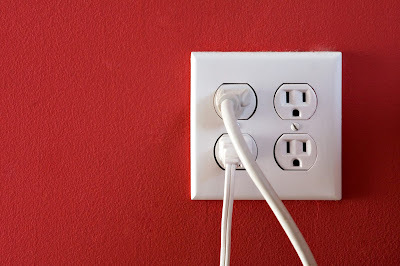 If something isn’t in use, unplug it or turn off the switch at the wall. Obviously, there are certain appliances that may be more practical to keep on such as a refrigerator, but you don’t want to be keeping speakers and computers plugged in 24/7. Get into a habit of unplugging devices as you turn them off. Newer appliances are generally more energy efficient than older ones. If you’re hanging onto a tumble dryer that’s twenty years old, you could find that you’re better of shelling out on a new dryer than trying to get your use out of the old one – a new model will consume a lot less electricity and will save you a lot of money in the long run. All new appliances are usually given an Energy Star rating, which could help you to identify the most cost-effective appliance for you. Other appliances may have energy saving settings such as washing machines and dishwashers – do your research to determine whether these settings are really suitable for practical use or just a gimmick. If you’re still using old incandescent bulbs, it might also be time to upgrade to LEDs. These newer bulbs use up a lot less electricity while still providing the same level of brightness. LEDs are slightly more expensive than incandescent bulbs, but it’s an investment that’s certain to pay off. Those wanting to take things one step further than buying LEDs could consider maximizing the amount of natural light getting into the home so that there’s less of a need to reach for the light switch. Consider whether there are any obstructions in the way of your windows that could be removed to let in more light such as high hedges outside or a piece of furniture in front of the window inside. Mirrors meanwhile can be placed opposite windows to help reflect the sunlight. You can even consider more drastic options such as adding a skylight or a new window to a room. If you’ve got your air conditioner on constantly during the summer, this could also be driving up the cost of your electricity bills. There are lots of energy saving tips when it comes to keeping your home cool without air conditioning. For example, you could try simply using fans and leaving windows open to encourage natural drafts. Using the oven less often in the summer can also be sensible – when cooking anything in the oven, you’re likely to produce a lot of heat that will make you more eager to turn on the air conditioning. Instead, opt for crockpot meals or throw some food on the barbecue. You could do away with your electricity bills altogether simply by embracing solar power. Installing solar panels on your property can be expensive, but in a few years’ time you’ll make up the money spent on it. Solar panels are best placed on an area of the roof that receives the most sunlight throughout the day. Contrary to popular belief, solar panels can still generate electricity in cloudy weather making them suitable in most areas around the world – it’s only if you live in the arctic where you may struggle in the winter due to short daylight hours. Wind power is another renewable source of energy to consider – you can install a home wind turbine on you home, which could make a handy supplement to solar panels. Hopefully you can implement a couple of these ideas to help lower your bills. Thanks for stopping by. As one ages, the skin often begins to show signs of its age sooner than you might think. Years of smiling and laughing, frowning and grimacing take their toll on the delicate facial skin, and the sun also gives the skin a beating. Lines and wrinkles appear on even the most delicate skin around the eyes, and deeper wrinkles form around the nose and the mouth. Age spots crop up where freckles once were. Old acne scars become even more visible, and the overall tone and glow of the skin gradually decreases. All of this can make the individual feel older than he or she looks. This can lead to embarrassment, discouragement and low self-esteem in public and private situations. However, the right skin care products can turn many of these concerns around and infuse the skin with new life and the psyche with confidence and pleasure in one’s looks. At Jeunesse, the overall goal is to help individuals age well as well as to also experience improved longevity. The focus with all of the products from this company is on thriving in life. With a tagline of “Generation Young,” Jeunesse is poised on the global stage to help people live their best lives ever. The brand continues to grow, add amazing products and be discovered by thousands of households around the world every year. Jeunesse has designed its products around the Y.E.S. System, which stands for the Youth Enhancement System. With a wide variety of products, there is something for men and women, young and old. Products for weight control, supplements for morning energy and evening relaxation and easy pouches for energy and concentration bring sanity to daily living and a sense of joy to the soul. Luminesce is a complete skin care system from Jeunesse that cleanses, tones, moisturizes, repairs and adds a glow to mildly to moderately aging skin. With regular use of these products, individuals can redefine their age by looking much younger within several weeks of constant use. Each product in this ground-breaking line has been designed by dermatologists and includes the proprietary product known as APT-200. There are numerous products in the Luminesce line to provide everything from powerful cleansing gel to hydrating masks for incredible moisturization. Individuals will want to try the entire line for the best results. The Restoring Cleanser should be used first before applying the Cellular Rejuvenation Serum and the Daily Moisturizing Complex or Advanced Night Repair. The Flawless Skin Brightener is excellent for skin with age spots or for skin that is dull and lifeless. The Ultimate Lifting Masque helps to exfoliate dry, dead skin and tighten skin. Essential Body Renewal brings many of these same anti-aging benefits to the skin throughout the body. Jeunesse is so convinced that individuals will notice amazing results with Luminesce that they guarantee a 30-day trial period. During this time, individuals can try out each of the products and see how well they work on their skin types. The company is so sure that the products will work well that they offer this money-back guarantee. Luminesce is just one example of the amazing, life-changing products that Jeunesse has to offer. When used together, they can transform one’s mind, energy, skin, weight and daily routine and help individuals experience long and vibrant lives. Kids, partners, pets, and family life all bring a lot of joy to any mom; however, they’ll certainly keep you busy, and at times, give you no time to rest. There’s always something to do around the house, or something to prepare so that everyone is fed, looked-after, and happy (for the majority of the time). You’ll get plenty of fulfilment from what you give to your family; however, you need to ensure that you’re also taking care of yourself and your needs too. It can be easy to get stressed and suffer with fatigue if you don’t give yourself enough room to breathe each day and time out to relax and unwind. A well-rested mom will be able to tackle the many challenges that are thrown her way throughout the week. Therefore, it’s worth spending some time thinking about how you can create a serene and calm environment, where you can switch off and rest, before drifting off to sleep. Your bed room space might be the last place you’re thinking of redecorating. There will be many more rooms like the kitchen, living area, and bathroom that you think need prioritizing as the whole family uses them. However, preparing a place to retreat at the end of each day will ensure that you can organize the rest of the household successfully so that everything functions and runs efficiently. Fortunately, the bedroom is a place where you can do an array of simple and affordable things to instantly udate and improve the atmosphere. So get your notebook and pen ready to start writing down what you think can be changed in this room. The following are some ideas and inspiration for busy parents who are ready to give theri bedroom the boost it deserves so that they can enjoy a restful night’s sleep. When you need a break and somewhere to rest your head; your priority should be the bed. Investing in a comfortable, supportive mattress is the best way to ensure your aches will drift away as you do each night. The bed base or frame should add to the character and style of the room, or provide handy storage solutions, which are perfect for family homes. Research online for some of the best places to buy a bed and discover what will suit your bedroom environment and your interior style. Try to remember that choosing simple and classic furniture pieces for the room will help to ensure that they’ll withstand the changes in fashion, and will be a wise investment that can last for the years ahead. Think about layering your bed up with quality crisp sheets, from companies like PeachSkinSheets soft cushions, throws, and pillows, and anything that will help you sink into sumptuous comfort. It’s always nice to feel like you have a place where you can cocoon yourself in comfort, and your bed should be your first port of call. A deep pile or faux fur rug is another way to bring texture into the room, and your feet will appreciate the addition by your bed. If you’re able to do a little DIY over the next weekend; why not give the space a fresh coat of paint? A calming, neutral hue, or a crisp white, can give a room an instant facelift and a new lease on life. Therefore, invest in a good, quality paint, a paintbrush and roller brush, roll up those sleeves and get painting. You’ll be amazed at the transformation, especially if you're painting over busy wallpaper or old and tired looking walls. There is nothing relaxing about a cold, stark, ceiling light that’s beaming down on your head from above. Therefore, it’s worth having some warm-light bedside lamps, and perhaps a floor lamp for when you need to illuminate the room a little more. You’ll want enough light to read your new book, but also create a cozy feel so that you can snuggle-up and drift off to sleep as soon as possible, after a day of busy family life. Once you’ve applied the new coat of paint, and you have an empty space to play with; you can figure out the best way to arrange the furniture. Try to place things so that the room flows, and it’s easy to walk to everything. Hang a few family photos or a special painting on the wall. Have a cd player bedside, where you can turn on some soothing music, or white noise to assist you relaxing and going to sleep. You’ll have created a sanctuary to unwind and rest within, in no time. A well-rested and happy parent, will have better days ahead with their (sometimes demanding) brood. One of the most important things in life is making sure that we are as healthy and happy as possible. However, some people aren’t as fortunate as others and have a wide range of ailments that they have to deal with every day. Regardless of whether your illness is physical or mental, it can be emotionally draining when you’re dealing with something every day of your life. However, have you ever considered a career that could in fact, help you with your ailments? Many people have found peace and clarity with their illnesses by going into a profession to help others as well as themselves. Take a look at these careers that could totally change your life and help your overall health! Personal trainers are usually extremely fit and healthy people, so I bet you’re wondering how this is going to be possible, especially if you’ve got a physical ailment. Getting your body to those kinds of levels of fitness could eliminate most if not all of the troubles that you’re having. Many illnesses begin because of lifestyle choices. Things like sore and swollen joints might be because you’re living a sedentary lifestyle, or you’re eating the wrong foods and gaining weight. Consider working towards becoming a personal trainer for your health, and also the prospect of helping someone in the same position as you’re in right now. Imagine going to the gym and seeing a PT with ailments like yours, it would inspire you to work as hard as you can to become as fit as possible right? Mental health problems are at an all time high. With bigger stresses landing on people’s laps, it’s no wonder that many of us suffer with some form of mental health issue. Regardless of whether you’re feeling just a little stressed, or you’re wondering whether you want to live anymore, it’s important to seek help so that you can get yourself on the road to recovery. Once you’ve got your problems under control, why not consider a career within the industry so that you can help others that are in similar positions as you? You can get an online masters in mental health counseling and begin helping people work through their issues and help prevent the suicide epidemic. Nobody deserves to feel low or unwanted on this earth, and there aren’t enough people taking action to stop this from happening! A lot of people find solace in starting up a blog to talk about their issues. Unfortunately, unless you’re a celebrity it’s unlikely that people will only want to read about your ailments. Instead, why not seek out solutions that have helped you and share them with the world so that people like you can try your advice too? There’s also a possibility of money to be made from blogging, so your advice could not only help someone solve their troubles, but it could also become a full time job for you to live from. It will also help you unload your problems and gain clarity mentally too! Consider these three career ideas that could help you with your mental and physical health and see how much of a difference it makes to your life! This Father's Day, it's time to skip the boring old tie and pocket square set, the new dress shirt, or crazy socks. I mean, think about it. Who wants to get the same old gift every Father's Day, especially the rather mundane gifts like that? 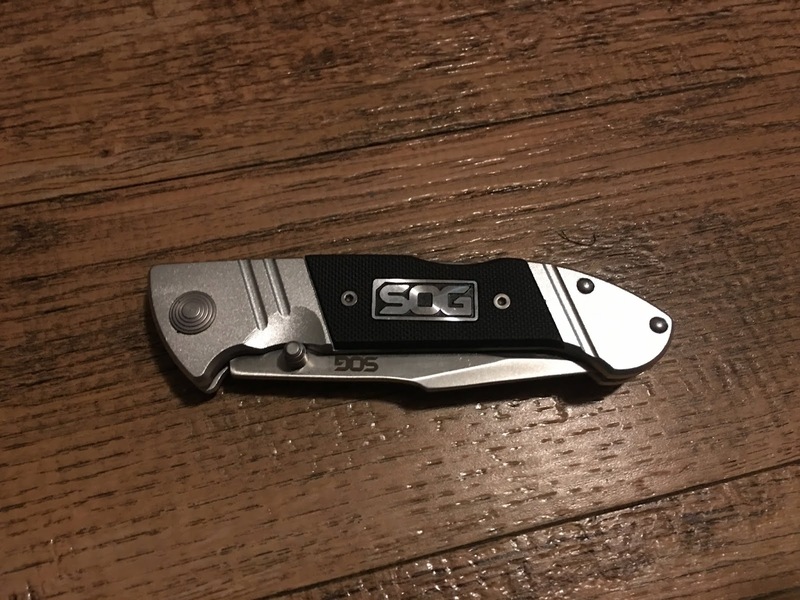 What dad wouldn't prefer, say, a snazzy knife from SOG Knives?! I was able to review two products from SOG recently. First up, the Fielder Assisted Knife. This is a very elegant, very classy knife that any guy would appreciate having in his pocket. Even for the men who don't normally carry a pocketknife, the style and appearance of this one make it fit into any wardrobe or style. Just take a look at this sweet, stylish thing! As you can see, the Fielder Assisted is indeed perfect for any guy, whether his style is jeans and a t-shirt, khakis and a polo, or even a suit and tie (goes great with that Father's Day gift from last year!). After a couple weeks of testing, I can tell you that the locking mechanism is very secure, so there are no worries about it opening in your pocket. 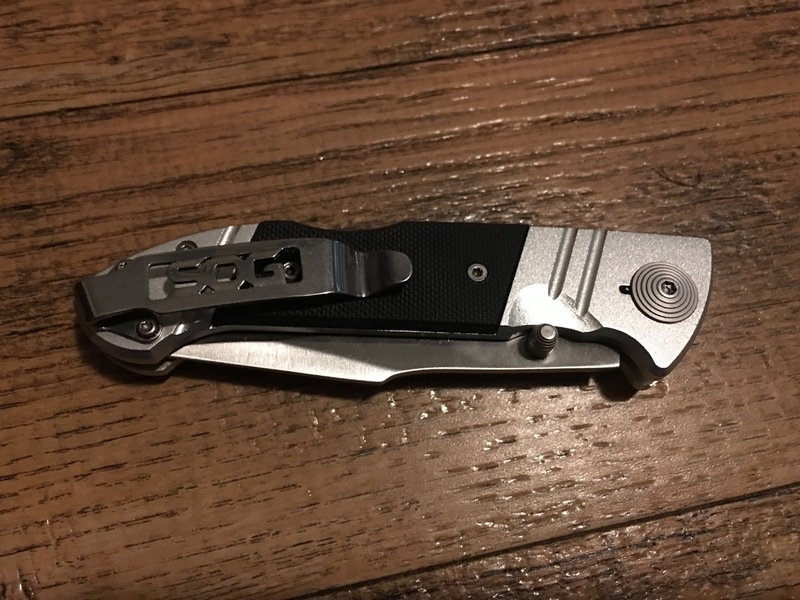 I have owned a couple knives that promised a secure lock only to have them pop open in my pocket, which is not fun at all! I love that it has a belt clip as well, for carry either in-pocket or on your waistband. If you're not familiar with knives, you may be wondering what the "assisted" part means. That simply means you can easily flip open the knife with just a small push on the thumb stud, and then the high-tension coil springs inside take over to propel the knife open - safely but quickly. Another aspect of this knife that I appreciate is the size and weight. It's the perfect size for an everyday carry, very lightweight and yet very sturdy-feeling. At less than 4 ounces, you will hardly even know it's in your pocket! 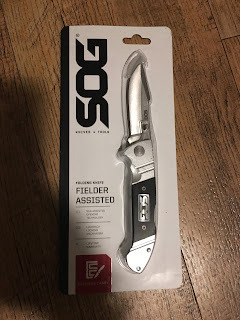 Another great gift for dads that you can pick up from SOG is their Throwing Knives. I received a set that comes with three throwing knives and a sheath that holds all three and attaches to your belt. Throwing knives are one of my favorite sports, and we have a target set up in the backyard for practice. If your dad enjoys playing darts, take it up a level with a set of these throwing knives! The knives are scratch-resistan, perfectly balanced for optimum throwing, and very lightweight. They come with paracord-wrapped handles which you can remove or leave on as preferred. This set is perfect for beginning knife-throwers! Seriously, what dad wouldn't prefer a cool new set of throwing knives over a boring old tie?! 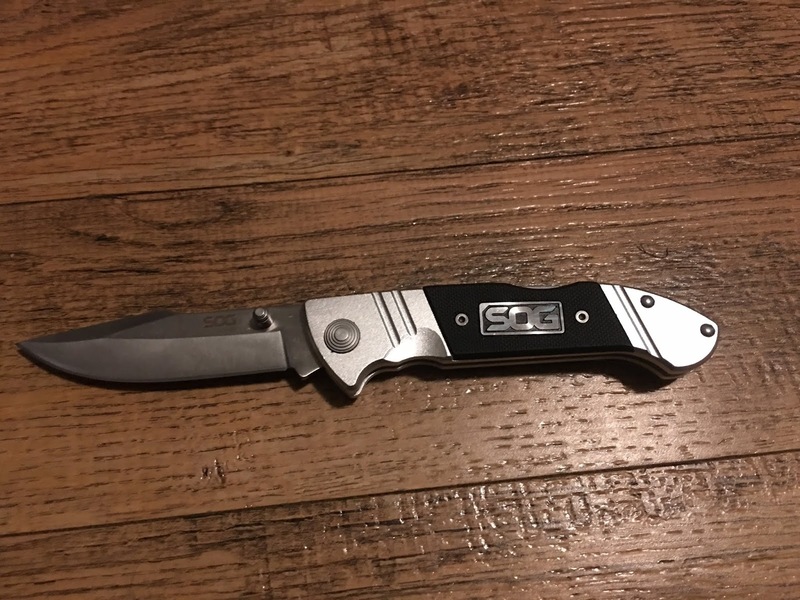 If neither of these options seem to fit your dad's style, be sure to check out SOG's website for a great selection of all things blades and outdoor gear!! 3. That's it. It's super easy, and Swagbucks is for real. I use it myself, and I've earned so many gift cards I have lost track now. I usually opt for Amazon gift cards or PayPal credit, but there are many other options available.